Galatians 2:19-21 KJV: For I through the law am dead to the law, that I might live unto God. (20)I am crucified with Christ: nevertheless I live; yet not I, but Christ liveth in me: and the life which I now live in the flesh I live by the faith of the Son of God, who loved me, and gave himself for me. (21) I do not frustrate the grace of God: for if righteousness come by the law, then Christ is dead in vain. verse 16 KJV: Knowing that a man is not justified by the works of the law, but by the faith of Jesus Christ, even we have believed in Jesus Christ, that we might be justified by the faith of Christ, and not by the works of the law: for by the works of the law shall no flesh be justified. He has done the believing; we just trust and receive (believe) or rest in what His faith has already obtained for us. Mirror says: So here I am; found in Christ! I was looking in the wrong place all along! My own duty- and guilt-driven religious endeavor snared me in the cul-de-sac maize of self- righteousness, sponsored by the law of works! The faith of Christ reveals my identity;righteousness defines who God believes that I really am. This righteousness is sourced in God and endorses the authority of faith. His faith reveals my identity! Galatians 1: 19-21 KJV: For I through the law am dead to the law, that I might live unto God. (20) I am crucified with Christ: nevertheless I live; yet not I, but Christ liveth in me: and the life which I now live in the flesh I live by the faith of the Son of God, who loved me, and gave himself for me. (21) I do not frustrate the grace of God: for if righteousness come by the law, then Christ is dead in vain. Paul’s message throughout this whole epistle was that the true Gospel is salvation only by faith in what God has done for us. — It’s not based on our own holiness or righteousness. Remember the Judaizers didn’t mind that the Galatians were born again having accepted Christ — they just wanted them to observe the works of the law as well in order to walk holy before God. We’ve minimized the Gospel to just a salvation message that we share with the unsaved. Remember the heart of the Gospel is Christ in us and us in Christ — co union. we were empowered by Him to subdue — to carry the authority and the fullness of who God is to the world around us…. our sphere of influence. He didn’t make a woman because Adam is lonely. Both coming together (1+1) in a covenant they make a stronger “one” and multiply the image of God through union, relationship, and family until the whole earth is filled with His glory. But then Adam and Eve ate from the tree of good and evil because they believed the serpents lie that they were lacking something… that they weren’t like God…. that God had withheld a part of Himself from them. God hadn’t changed… sin didn’t separate Adam from God’s presence — sin caused Adam to walk in fear and to hide from the presence of God because he thought God would be angry. But what did God do? God came walking through His garden in the cool of the day. Immediately following their disobedience they “heard” the Spirit of the Lord in the Garden ready to walk with them… eager to enjoy fellowshipping Spirit to spirit with them. They heard His Spirit come into the garden desiring to be with them like always. To hear is the Hebrew word shema which is hearing with understanding, attention, and with a response. God wasn’t asking a question; He wasn’t asking where Adam was. Adam’s fall caused sin and death to enter the world. Everybody was born into that. Sin didn’t make us sinners….. being born a physical birth made us sinners because of Adam’s fall — we were born with an Adamic nature. Why did Jesus die on the Cross? For just the forgiveness of sin? No — that’s just the beginning. The forgiveness of sin empowers you to have new life making you right with the Father. The language of the Gospel is CO! No he lives this new life by “the faith” of the Son of God who loved him and gave up His life for Him. Every born-again believer already has the faith of God. Romans 12:3 we’ve all been given the measure of faith. God didn’t give us different measures of faith; we all received THE measure of faith. He only used one measure. All born-again Christians received the same amount of faith. Mirror (Romans 12:3): His grace gift inspires me to say to you that your thinking must be consistent with everything that is within you according to the measure of faith that God has apportioned to every individual. Your thinking — the word thinking is sophroneo which means a saved mind. We are to let the revelation of redemption shape out thoughts. Col 2:12: Buried with him in baptism, wherein also ye are risen with him through the faith of the operation of God, who hath raised him from the dead. In the Greek it says…. buried with Him (Jesus) in baptism, in whom also raised with (resurrected), through the faith, the working of God, the raising Him from the dead. Col 2:11-12 Mirror: You were in Christ when he died which means that his death represents your true circumcision. Sin’s authority in the human body was stripped off you in him dying your death. 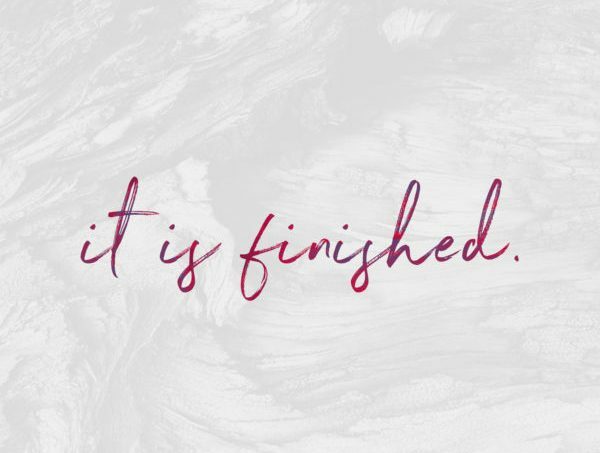 (12) In the same parallel (your co-circumcision in his death) your co-burial and joint-resurrection is now demonstrated in baptism; your co-inclusion in Christ is what God’s faith knew when he powerfully raised him from the dead. God’s faith — He saw you in Christ when he resurrected Jesus — Eph 1:4 (Mirror) He associated us in Christ before the fall of the world! Jesus is God’s mind made up about us! He always knew in his love that he would present us again face-to-face before him in blameless innocence. • There is only one faith! Not what we believe about God but what God believes about us! One of the areas about faith that gives people the most trouble is the concept that we have to acquire more faith and that some people have much faith, while others have virtually none. We spend a lot of effort, like a dog chasing its tail, trying to get something we already have. Every born-again Christian already has the same quality and quantity of faith that Jesus has. It’s His faith in you.,,, through you. That’s the faith we live by. Paul was telling them I know a secret… I know how this new life works. Paul did not say that he lived by faith IN the Son of God but by the faith OF the Son ofGod. The measure of faith that Paul had was the same measure that Jesus had. It was Jesus’ faith. If there is only one measure of faith (Rom. 12:3), then we also have the faith of Jesus. Philemon 1:6: That the communication of thy faith may become effectual by the acknowledging of every good thing which is in you in Christ Jesus. Notice that Paul isn’t praying that Philemon will get something more from the Lord. You can only acknowledge something that you already have. We already have the faith of God, and it will begin to work when we acknowledge this. You don’t have to live up and down… the Gospel settles you. The Gospel of Jesus is enough. He said to the woman at the well, just one drink…. one drink…. and you’ll never thirst again! He is not an outside God! He is not a God who lives apart from us! We pray for God to come dwell in our midsts… come into our prayer services, come into our church services, etc. He dwells in us at ALL TIMES! You walk into a prayer service or a church service, God walks in too — in you! In context Jesus was talking to the Jews about a brother that sins against you and you go to him to work it out (with 2 or 3 witnesses) because a legal dispute required 2 or 3 witnesses in order to work it out. It is with this in mind that Jesus said that the Father would grant the request of two or more who gather together in Christ’s name and are in agreement. Agreement on what? On disciplining the erring brother. Truth is that if I’m the only one in the room He’s there!!! We are in co-union with Him. He lives in me and I live in Him.